The Cancun Coastal trunk is hugely versatile. Why is it so special to suddenly come across a trunk in a Mexican home or bedroom? Is it because of the stories of treasure chests and romance? Is it because of pirate tales, movies and books? I do not know exactly why it is, but whenever I spy a trunk in a living room, office or bedroom [confession:] I sigh in delight! 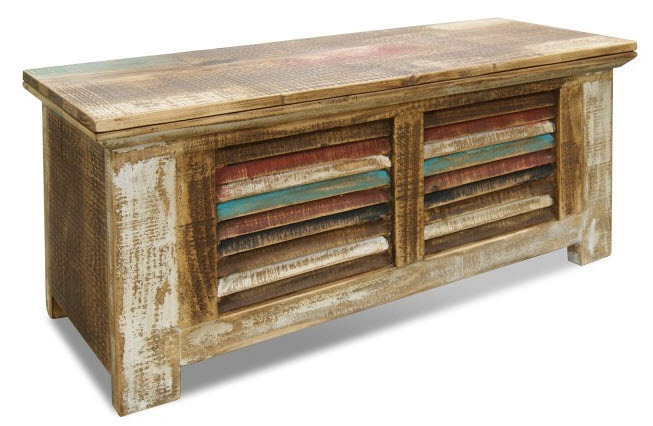 The Cancun Coastal trunk is hugely versatile: you can place it in your Mexican bedroom to hold linens or light cotton blankets; you can feature it in your foyer as a kind of welcome bench to encourage guests to take their shoes off; or you can place it in your living room and stock it with magazines, inspiration and other surprises. Unlimited possibilities!